There was a flying start for this year’s Oxjam in an utterly packed White Lion for the Launch and Music Quiz on June 8th. There were ninety people plus spectators in nearly 20 teams, including the 30 members and supporters of the Nottingham University OXFAM society. They answered (or tried to answer!) questions ranging from what “what was the name of both a lute-playing contemporary of Shakespeare and a legendary blues singer?” to “who had the first billion times viewed Youtube video?” It’s Robert Johnson and Psy respectively, since you ask. In fact the scoring was pretty high despite the occasional furrowed brow and sigh of despair, and the winning team managed 42 out of 50. They promptly donated their cash prize to Sergio’s “Calais” fund (which was nice). So a decent fund-raiser – and a great curtain raiser – for a festival that culminates in The Takeover on October 15th. 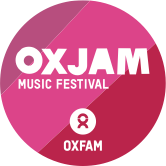 Next up is Oxjam Unplugged on Saturday July 2nd. The venue is Middle Street Resource Centre, which you might think is somewhat unlikely, but it’s actually a lovely setting for the small scale event, catering for about 80 people seated cabaret style. There’ll be a licensed bar plus soft drinks, coffee and snacks. Plus it’s only a 5 minute walk from the Interchange or buses (Indigo, 36, Y36) and the tram stop. On the bill is folk punker Paul Carbuncle who was a great hit at last year’s Takeover where he played3 sets in as many venues. Unfortunately Paul is otherwise engaged on October 15th so this will be his only Oxjam appearance this year. Also performing will be local favourite and Oxjam totem Emma Bladon-Jones – such a fabulous singer-songwriter, as if you didn’t know! We’ll also be introducing two young singer-songwriters, Matt Humphries and Andrew Tucker (who is lead singer and songwriter for Ivoryserfs). Listen out for their unusual covers. Finally, completing the line-up is Dave Mooney, who combines his own songs about his travels in the east with covers from the skiffle and tea dance eras. He may (or may not) appear with Nancy, a puppet he employs when working as a street performer, so keep your eyes peeled. Tickets are £6 from Oxfam Books & Music, The Middle Street Resource Centre, or on-line at www.wegottickets.com/event/363566 (+ 10% booking fee). Hurry while stocks last! It is a truth universally acknowledged that Christmas is a time for giving, and it is a truth locally acknowledged that Beeston has an abundance of charity shops. So, why not make the most of them? They are treasure troves when it comes to looking for gifts and you never know, you might find exactly what you set out to buy, and you’ll be helping a charity, too. It’s a fool proof Christmas plan (especially if you’re on a budget, as I always seem to be!) Whether they know it or not, my friends and family have received charity shop bought items and loved them. I take pleasure from finding a pristine copy of a book in a charity shop, removing the 99p sticker and having my friend believe that they are worth the £8.99 they think I paid. There are plenty of chances to do your bit and I think here in Beeston we are lucky to have a wide range of charity shops along the High Road. Saving money, helping a good cause, pleasing a friend – I can’t think of a better solution, and this is something we can implement in our lives at any point during the year. If, like me, you don’t give to a charity on a monthly basis, there are plenty of chances to do your bit and I think here in Beeston we are lucky to have a wide range of charity shops along the High Road. We can dip in and out of them as we please, pick up a bargain and help charities that range from Scouts, to The British Heart Foundation, to Cancer Research, to helping fight poverty with Oxfam. If you happen to be perusing the shops of a Saturday afternoon, pop into Oxfam Books and Music and you’ll find me there filling the shelves with more books, or standing behind the counter mentally urging you to find and buy a book. I’ve volunteered for Oxfam for just over four years and I can’t emphasise enough how much I enjoy it and appreciate the work that Oxfam does for poverty. This time of year, you can buy extra Christmassy things. We have traditionally festive cards as well as funny ones. Our Unwrapped Gifts are more popular at Christmas too: if you don’t know what to buy someone, why not buy them a goat (or two)? If you give to charity regularly already, then keep up the good work! If not, then now is the time to start. Treat yourself, treat others, and take comfort from being able to help many brilliant causes.